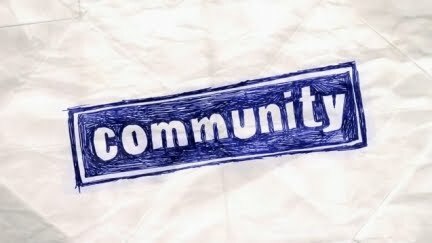 Quick Thoughts COMMUNITY, "Basic Lupine Urology"
For the past two seasons, Community has had to walk a fine line between being a pop culture joke machine and a character based comedy in order for it to be relevant and effective. Sometimes episodes seamlessly combined the two halves, and sometimes the writers will rely heavily on one or the other. "Basic Lupine Urology" was more in the vein of the latter since it was a blatant spoof on the Law & Order franchise, but that didn't stop it from being one of the funniest episodes of the season. Admitting that you like police procedurals has become somewhat of a scarlet letter over the last couple of years because TV snobs insist that serialized storytelling is the only one that matters, but I have to come clean and own up to the fact that I enjoy a by-the-books cop show from time to time. OK, it's not really a secret since I always write a lot about White Collar and Castle, but they belong to a sub-genre unto themselves and only vaguely resemble more traditional procedurals like CSI and NCIS, but I digress. Shows like the latter have their place in the television landscape (which is evident by the fact that they tend to be some of the highest rated shows on air) because they make for simple story telling. You know what to expect when you tune into an episode of Law & Order, and that's not necessarily a bad thing. The brilliance of "Basic Lupine Urology" had to do with the fact that it operated as a procedural, new viewers didn't need to know any of the character's backstories to get what was going on and fans were in on the joke, and it used the recognizable tropes in extremely humorous ways. The storyline itself was classic Community as the Study Group's biology project was compromised, and they had to figure out who was responsible. Having Troy and Abed as the "law" side of the equation was beyond amazing because they already occupy a space where they pretend that they're on a television show, so having them riff on the good cop, bad cop dynamic was a natural fit. Ditto for Jeff and Annie as the "order" since he's supposed to be a lawyer anyway, and they've already proven to be a good team in situations like these (see "Debate 109"). Letting these four, and Shirley as the police captain, just go off on every cop show cliche was just fun to watch, but there were also some character development opportunities as well. One of the prime suspects was Starburns, which was another riff since the shady guy's always the first to be questioned but rarely is the criminal, but so much pressure was put on him that he fled the scene which led to his death. This twist seems like a dark turn for the show to take, but we really shouldn't be surprised at this point, and I'm glad that they included it. To clarify, I'm not happy to see Starburns go, but his death brings the focus back to the fact that these people are not very good, and their self-centered ways have the tendency to bring down those around them. Usually, the other students at Greendale are annoyed by Study Group, but this was the first time that something serious has happened because of their actions, and it will be interesting to see how they get out of this one. Every episode of Community cannot be like "Basic Lupine Urology" because this show cannot survive on pop culture alone, and we need to be reminded why we care about these people from time to time, but I'm also for having just off-the-wall, meaningless fun. Like always, it comes back to balance, and these last couple of weeks Community's been able to make it all work.